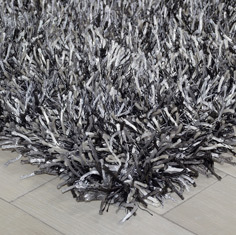 Girly sparkle rugs offer glamorous looks, fashionable colours and affordable quality. The polyester, lace like pile is hand-tufted in China and is extremely heavy in weight. Each rug features a blend of thick and fine yarns, contrasting colours and shades enhance the overall appearance. This elegant collection is available in a wide range of sizes including large room sized rugs. Please allow up to 10 days for delivery.